Nuwara Eliya is a wonderful part of Sri Lanka. 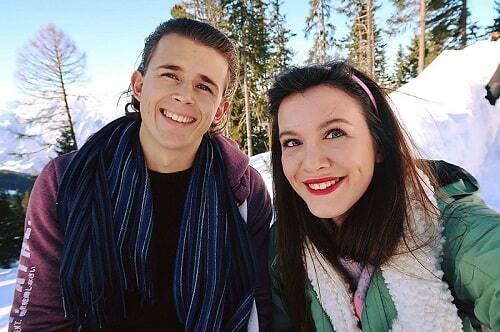 It cold (yes, that’s a good thing! ), beautiful and full of wonderful things to do. 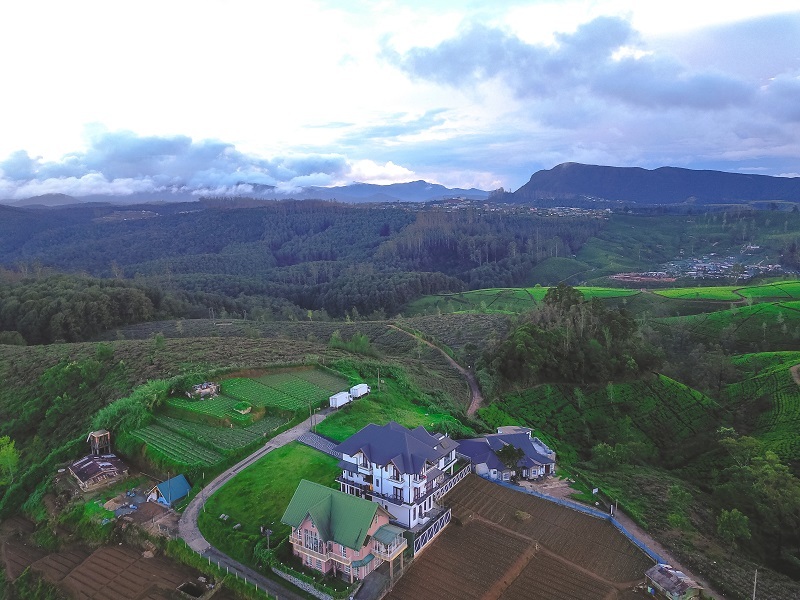 It’s steeped in stunning countryside and tea farms, and all you need to enjoy your time here is the perfect hotel to stay in. Thankfully, I’ve found it. 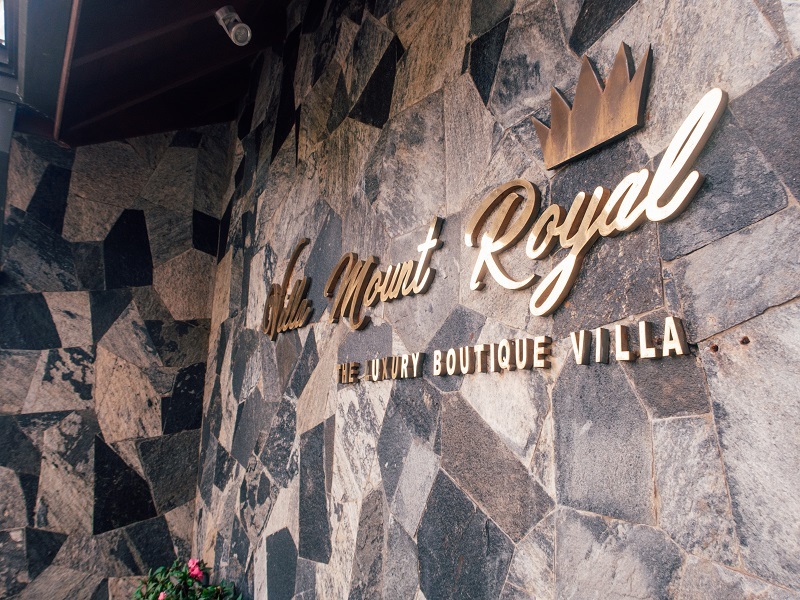 Below I take you through what a stay at the wonderful Villa Mount Royal will look like. Upon arriving at Nuwara Eliya after a long tuk-tuk journey from Kandy (and a stop at a wonderful tea factory), it was raining pretty heavily. We arrived at the Villa Mount Royal and we were greeted with smiles, hot chocolate, and cookies. I literally couldn’t think of a better welcome, especially with the thunderstorms happening outside. 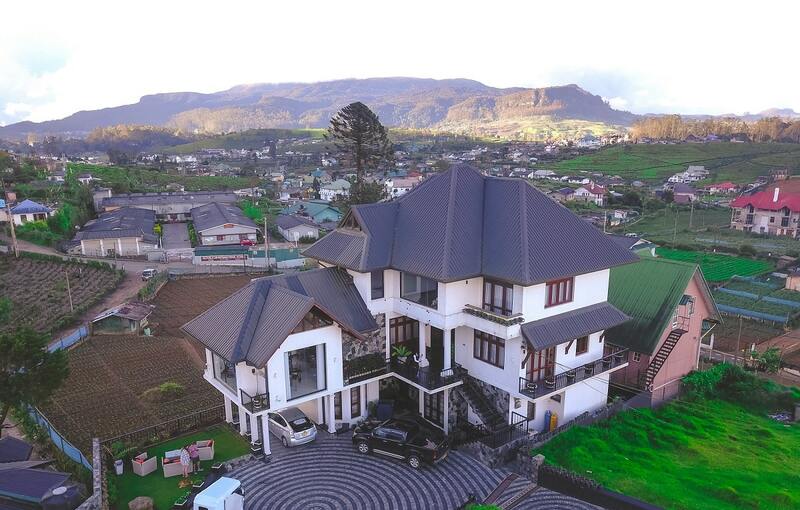 Villa Mount Royal is a boutique villa that offers stellar service and accommodation for your stay in Nuwara Eliya. 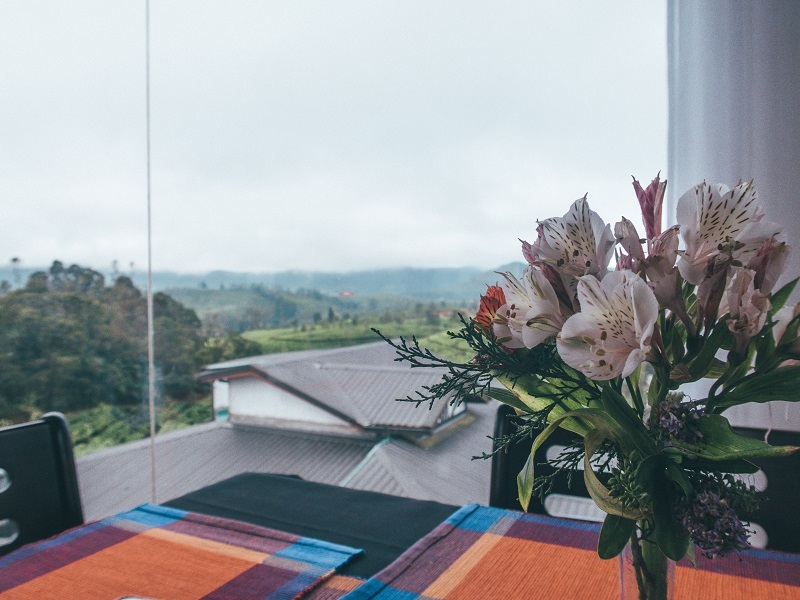 It’s actually situated right next to some stunning tea fields, so you’re greeted with a wonderful view from your balcony. Our room was a stunning deluxe double room with private bathroom and balcony (actually we had 2 balconies). This room is beautifully decorated and the bed is ridiculously comfortable. I actually struggled to get out of bed in the morning because I was so comfy! The bathroom is probably one of the best I’ve seen in all of Sri Lanka. The shower is beyond brilliant. It’s modern, clean, and powerful. It’s also another hard thing to leave. 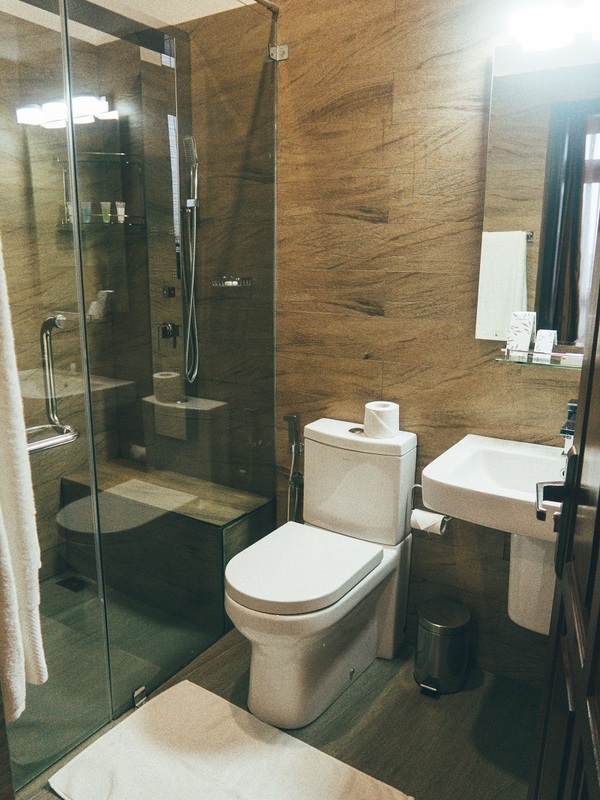 I loved the modern interior of the room and bathroom. 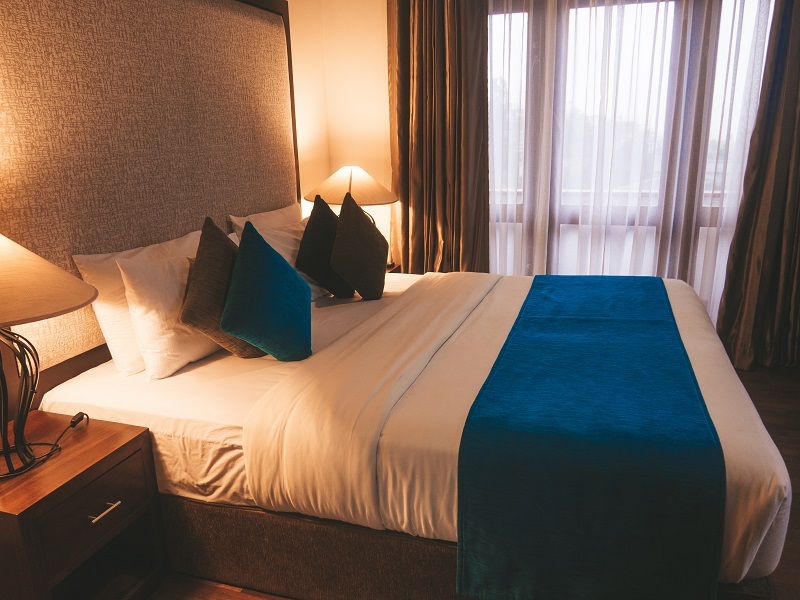 The use of blue jewel tone colours against the browns is a lovely match and the whole room has a cosy atmosphere. They even provide you with a little heater, which you’ll need in the evening because it does get cold in Nuwara Eliya (which was a real treat after the scorching sun for weeks). The room comes with a TV, mini fridge, towels and tea making facilities. (I loved that the kettle had water in it ready for me to boil). 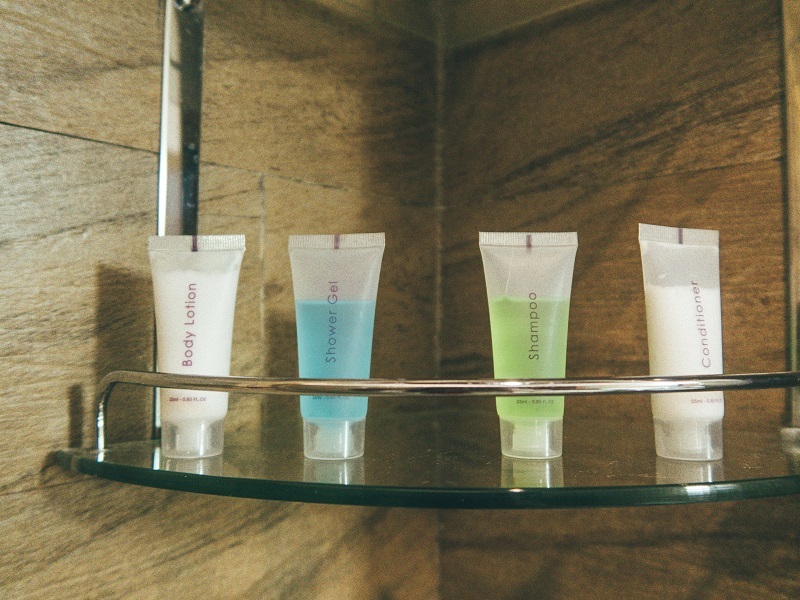 Also, this villa has the best complimentary toiletries, including a shaving kit, toothbrush/toothpaste, shower cap, and of course, shampoo and body wash. It really is this little attention to detail that makes it so wonderful and comfortable. The great thing about this boutique villa is that it is constantly offering you opportunities for relaxation. 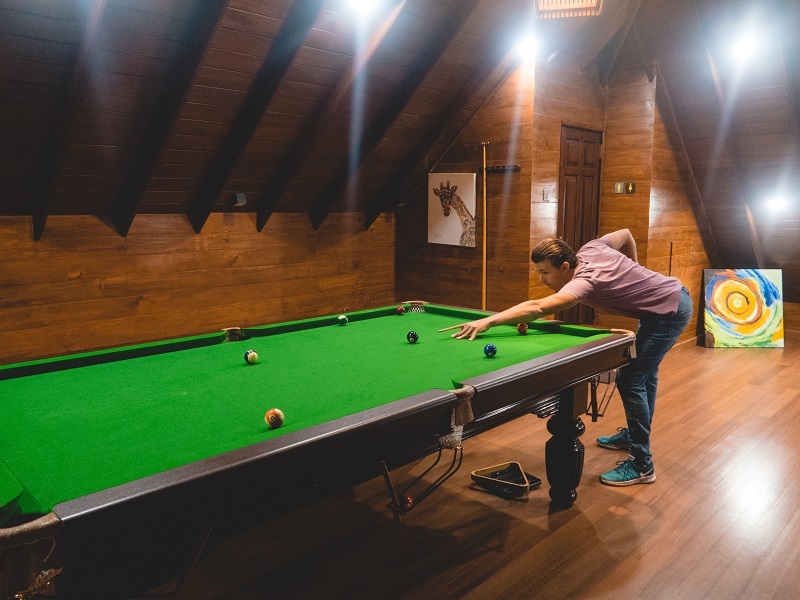 You can head to the upstairs “chill area” which features a pool table to play games (for free) and sofas to relax. 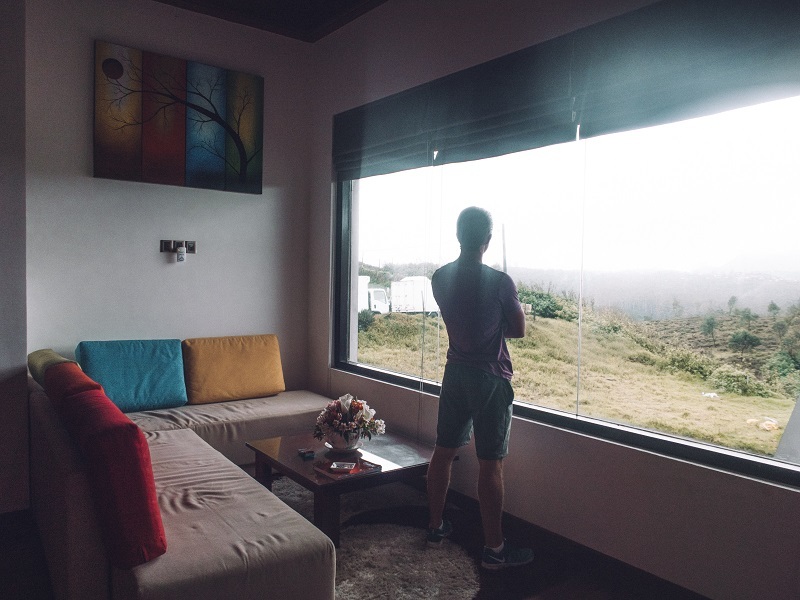 There is even a sofa on the level below which looks out directly onto the beautiful tea fields with a massive glass window. It’s a wonderful area to sit with a book (which they can provide you with) and a cup of tea or coffee. Dining at the Villa Mount Royal is a delight. The chef here is one of the friendliest people in all of Sri Lanka and he will whip you up anything you wish! The menu is an extensive delight of both western and local style dishes. Everything is reasonably priced and dinner is served from 6 pm to 9 pm. 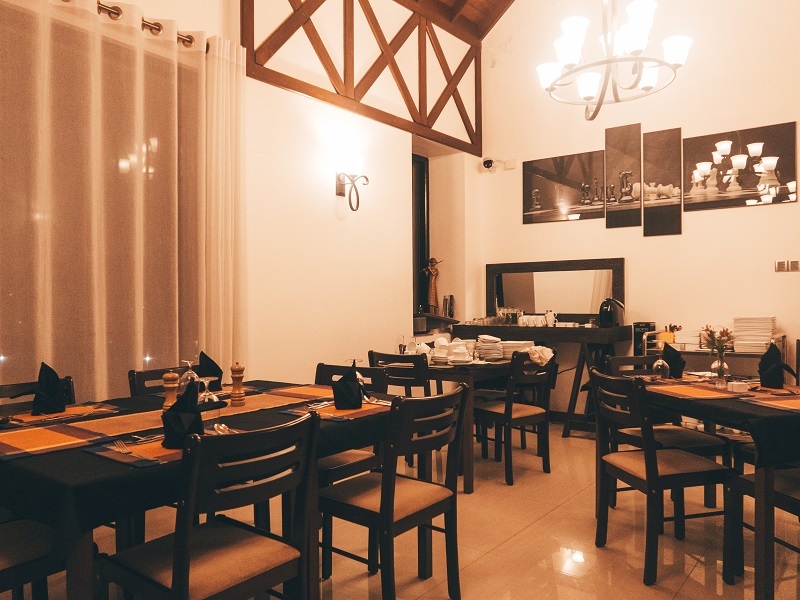 Dinner is served in a room that offers 360 views of the countryside and tea fields. It a massive glass window and it’s such a delight dining by this view. Especially in the morning at breakfast. Speaking of breakfast, it comes with your room and it is very delicious. 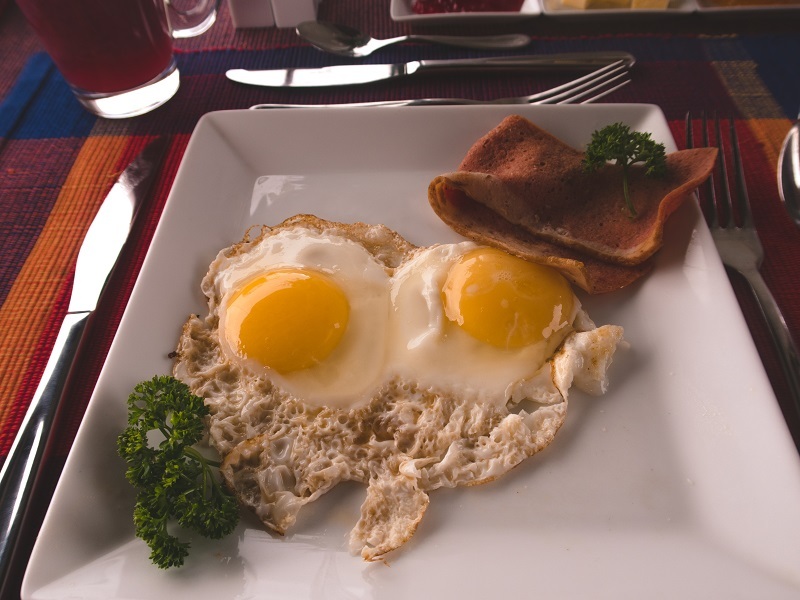 You receive a fruit plate with a selection of delicious in-season fruits, a basket of toast with jams, and your option of eggs and bacon, or eggs and sausage. Everything was very tasty and plentiful. A great way to get you started for the day. Breakfast also comes with tea and coffee. 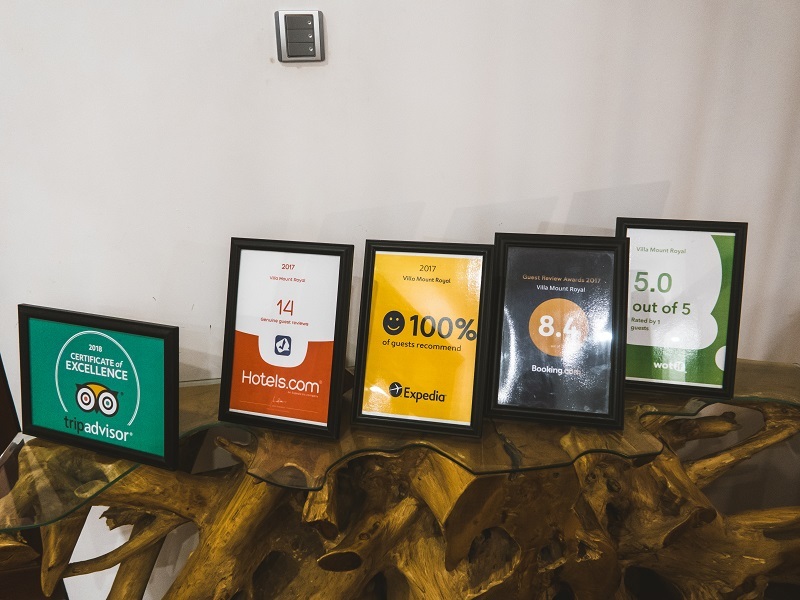 Last but not least, one of the real special elements of this accommodation is the friendliness of the staff. They carry your bags to the room, they are always checking in with you to make sure everything is okay, and you feel like you are being taken care of. It’s a really special experience. The lovely manager M.Vnodkumar who will make sure your stay is amazing! 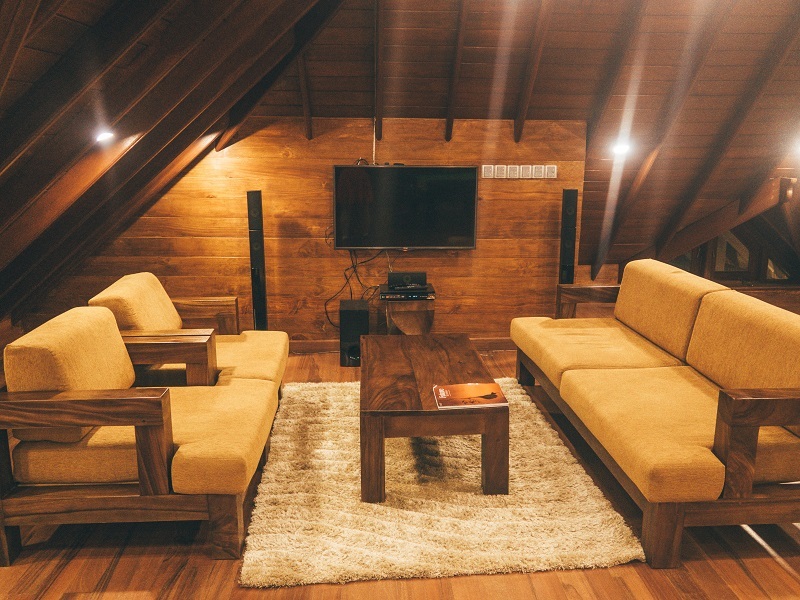 So, if you want somewhere perfect, cosy and full of facilities to stay when you are in Nuwara Eliya, then book your stay at the Villa Mount Royal here. Bradley and I thought the Villa Mount Royal was sophisticated, beautiful and set in a wonderful area. 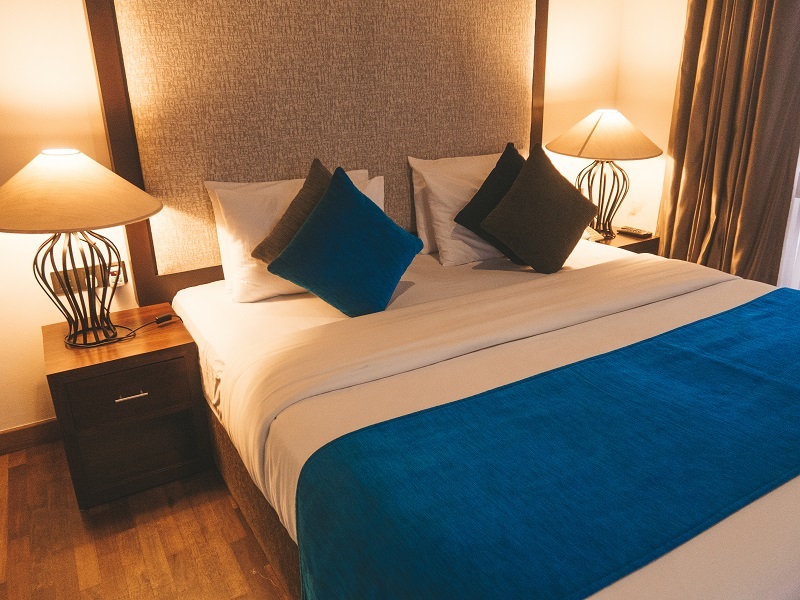 We think its a perfect choice for both couples and families or even solo travellers. You can book your stay here. An Epic Guide On The 50 Best Things To Do In Sri Lanka In 2019!